As Metro Nashville Council fills appointments to the new Community Oversight Board, what will soon matter most to the board and administrative staff is this: Make Connections. Not the good ol’ boy, Nashville-standard-operating-procedure connections – but connections to the community, and especially those that are left out of the usual Nashville network. 1—The first message out of the box has to be: We’re open for business, and this is how we work. While COB was adorned with broad powers by the historical referendum citizens approved in November -- and it has a lot of levers to pull -- the centerpiece is to give platform to citizens who believe they have been wronged by law enforcement. 2—Keep mass media in the loop, even after the new wears off. In a local and national atmosphere where media and the community are mindful of excessive force by police, media are in a high state of on–the-story. But as time wears on, it will be important for COB and staff to guide the narrative and tell its own story. Be pro-active at providing news and feature stories for media to consume. Be as transparent as citizens want police and government to be. “Media relations” includes keeping the press interested in covering every meeting. 3—On social media, COB should be as visible and engaging as any department of Metro government or any business. 6—Video every meeting. Live-stream, but also produce high-quality video files of the total meeting, and re-mix into a meeting “highlights” not to exceed 15 minutes. Archive your videos because citizens, media, filmmakers, historians and courts will have occasion to use them in the future. Metro Nashville already does this with certain events and meetings, such as police officers being promoted, but watch for push-back from some quarters to the perception of “dirty laundry” being aired over city channels. 7—Have a user-friendly website where citizens can make complaints online. Your own story-telling video packages, how-to’s and all sorts of stuff can be resources for the public. Website should include meeting agendas, minutes and news. Cases that have been adjudicated should have a synopsis, because it is instructive to know what kind of complaints the board receives and how they are making decisions. 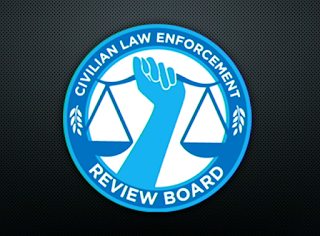 An example of what not to do -- how to fail to communicate with the community despite good intentions -- can be found in the Memphis Civilian Law Enforcement Review Board. CLERB recently decided to drop monthly meetings and meet every other month due to a dwindling case load. CLERB heard only 10 to 12 cases in 2018, according to CLERB Chairperson Casey Bryant. In Nashville, citizens may make complaints directly to COB, but a Memphis citizen must first complain through police internal affairs before appealing to CLERB. “So that’s why I want to do some more outreach and get people in the public to understand our role and the possibilities. The first thing to do would be to have an accurate website that is up to date and user-friendly. “To make sure we get all this out is tough,” said Bryant, who is a lawyer. “We could have a Facebook page. We talked a couple of months ago about putting on panels, with academics or members of law enforcement. And going around town and educating people on issues. “We were trying to have meetings in different parts of town, hoping people would come, but we just weren’t able to publicize it. “I did an interview last night with Fox 13 news,” Bryant said after a Jan. 10 CLERB meeting. “Scores of people said they saw it. The TV story was playing off people’s unease about police brutality and wanting to see something change about it. I think CLERB is positioned to bring some light to those issues.